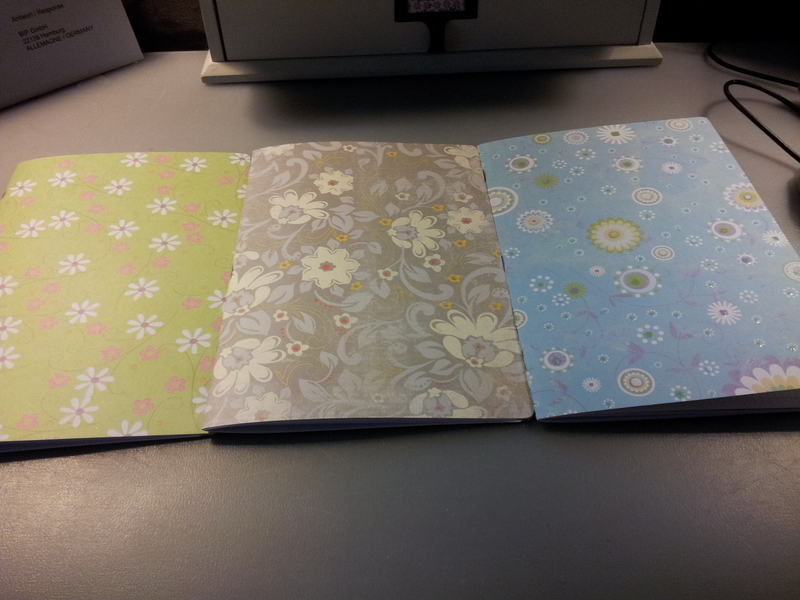 Here’s what I’ve been working on tonight: home made notebooks. 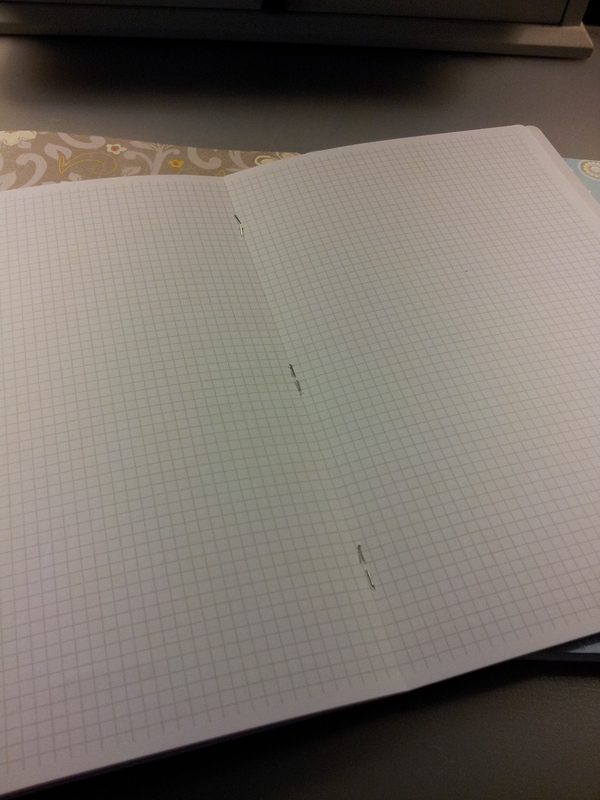 I’ve been looking for grid notebooks with a smaller grid length and in a size that would fit my Flex Planner. Couldn’t find them. So I made some. They are very small; only 10 pages each. 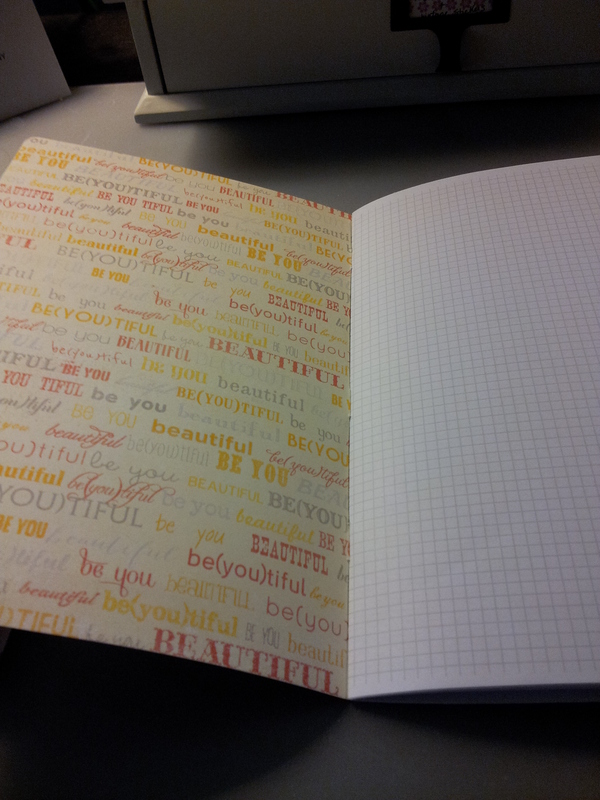 I wanted to perfect the craft before making bigger books. There are lots of videos on Youtube for making your own notebooks; I watched about a dozen before deciding on stapling my books together. Look up Sea Lemon on Youtube; she has a ton of videos on the many different ways to make a book. The stapling method is the easiest and fastest method, in my opinion, although the limitation is the size of your staple. I used some cardstock that was kicking around my closet. I’m really pleased with how they turned out. 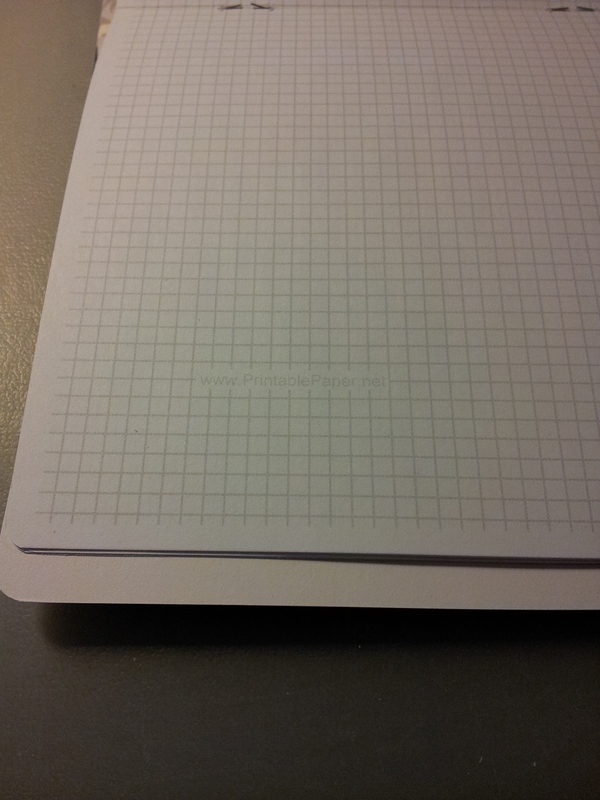 I printed the paper from http://www.printablepaper.net. This version is the 7 squares to the inch size. This picture does not do her handwriting justice, but the envelope underneath is from Sherry, who practices calligraphy. Such a beautiful rendering of the name of my blog! I envy her skill. 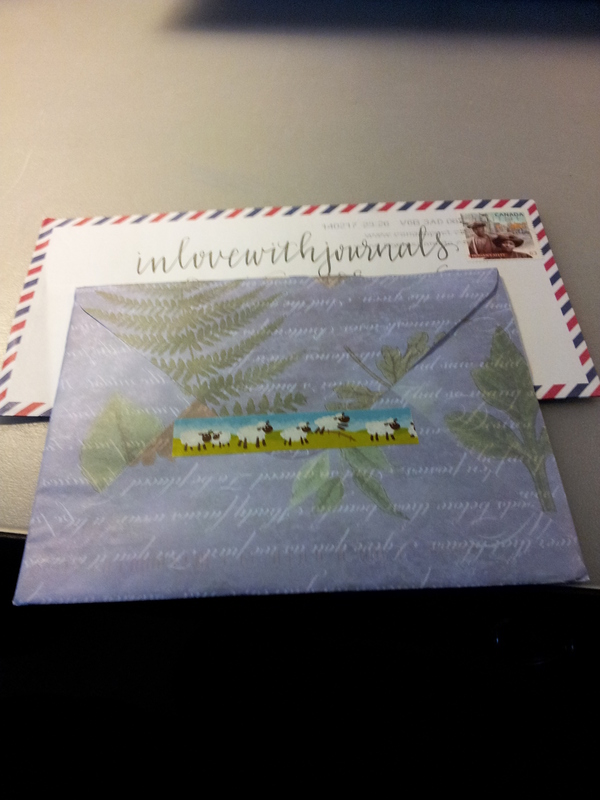 And a gorgeous envelope from Carla on top; there was a beautiful card inside too. Wax seals were popular. 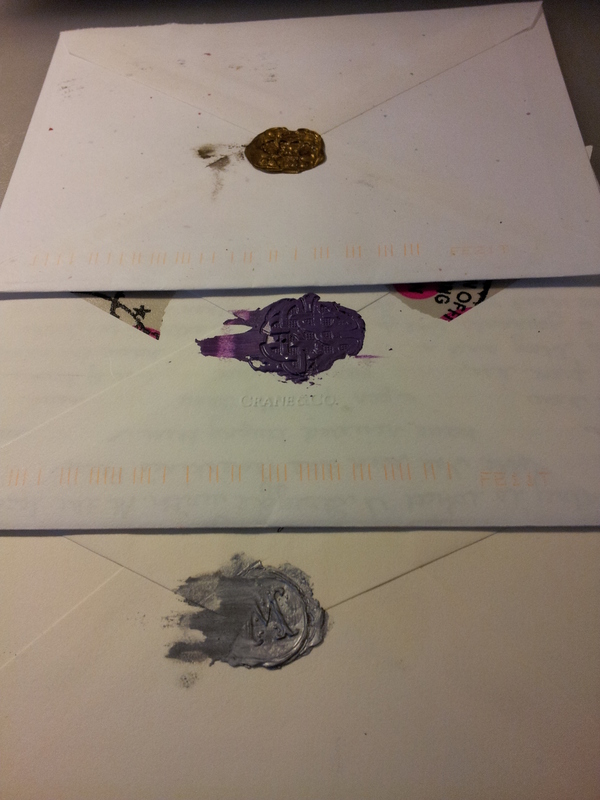 Here are three from Adrianna, Lesley and Mark that made it relatively unscathed through the mail sorting machines. Lovely card from Ashli. Love birds and glitter! 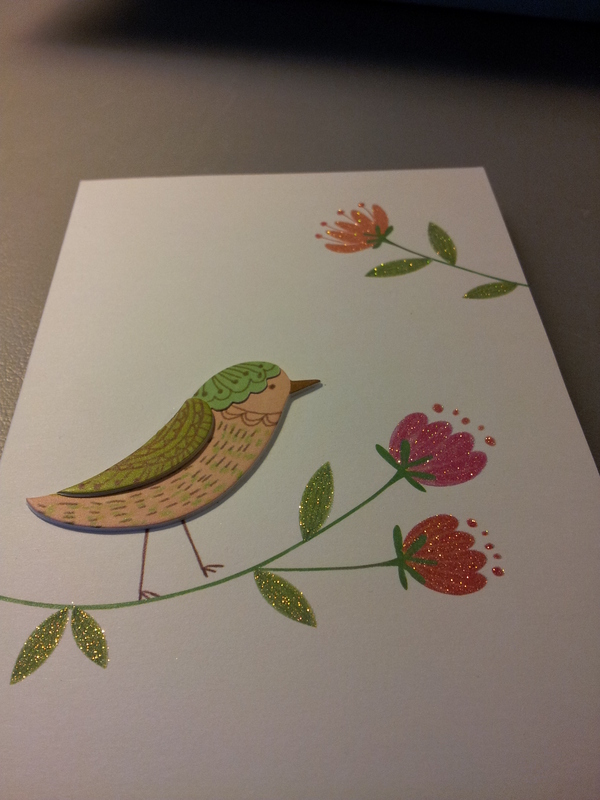 Dean sent me this wonderful card and thoughtfully put his letter inside on separate paper so in theory I could use this card to send back to him or to someone else. But it’s so great I think it’s going straight into my journal. 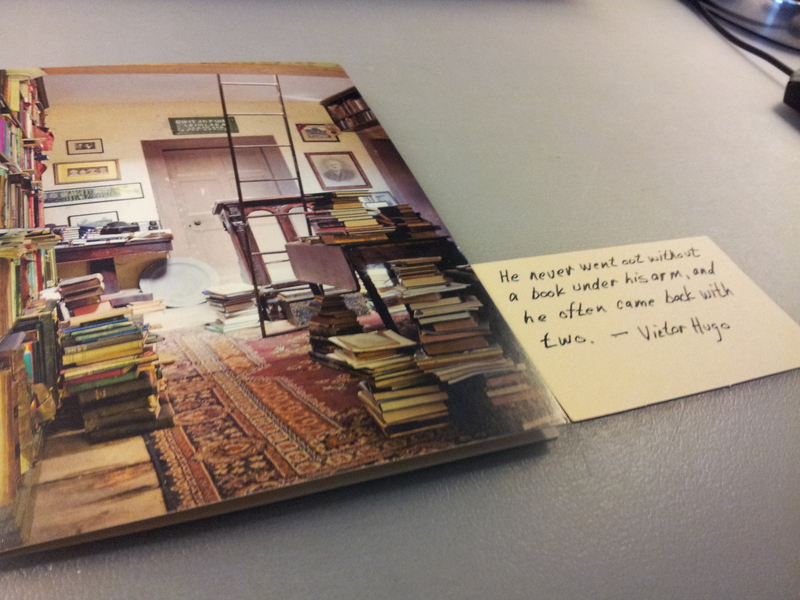 I also love the quote he sent. 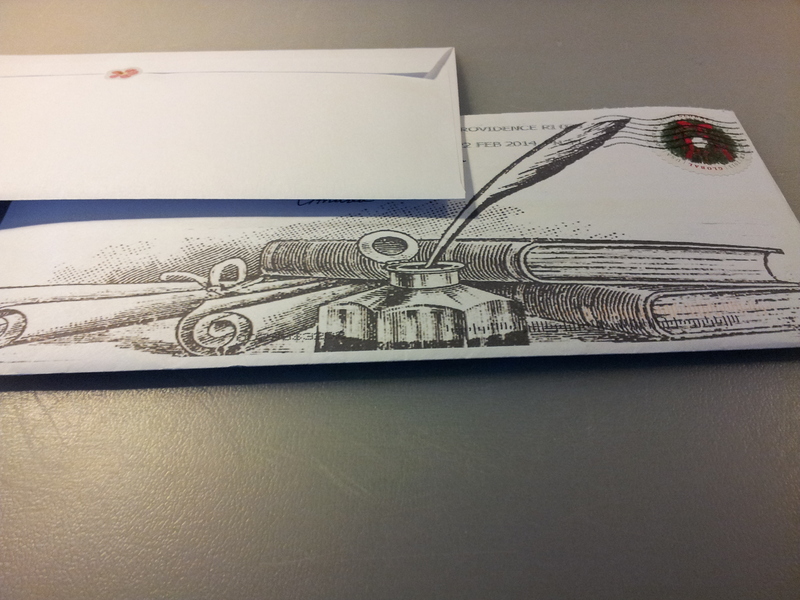 I sent journal cards with fountain pen quotes to my correspondents. Just received this breathtaking envelope from Carl on Friday. Love! And this was a fun idea from Rob: he sent me 3 tabletopics idea cards with his letter. He also sent me some extra sheets of Tomoe River Paper, which I’m now in love with because quite a few of my letters were penned on this paper. It takes fountain pen ink beautifully, is super thin like tissue paper and is not too expensive. Wonderpens in Toronto also carries it. I’ve had so much fun and everyone has made me feel so welcome. I’m sure most if not all of these folks will continue writing throughout the year, as I intend to do. 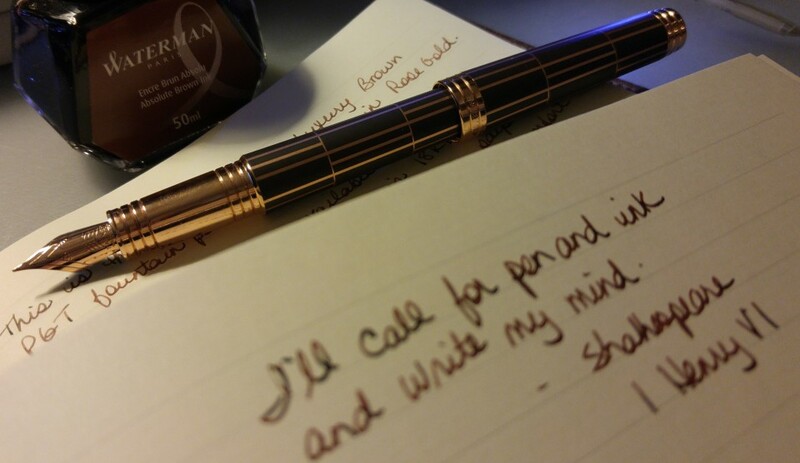 I have to say a huge thank you to the Fountain Pen Geeks Forum for introducing me to such a great bunch of pen and paper enthusiasts. Now I have to go write some letters…. This article from September 2012 in the New York Times made me hopping mad. Just the title irked me – the inconvenience of paper?!? Paper is meant to be felt and enjoyed. I have never thought of it as an inconvenience. The Day! – The Best Story of Mine app Mr. Eaton is talking about provides text entries each day to “get you into regular writing” – frankly I don’t see how that could be achieved with it’s apparent “emphasis on icons”. The other apps he discusses don’t seem to be much of an improvement. Don’t get me wrong, I embrace technology in my way. 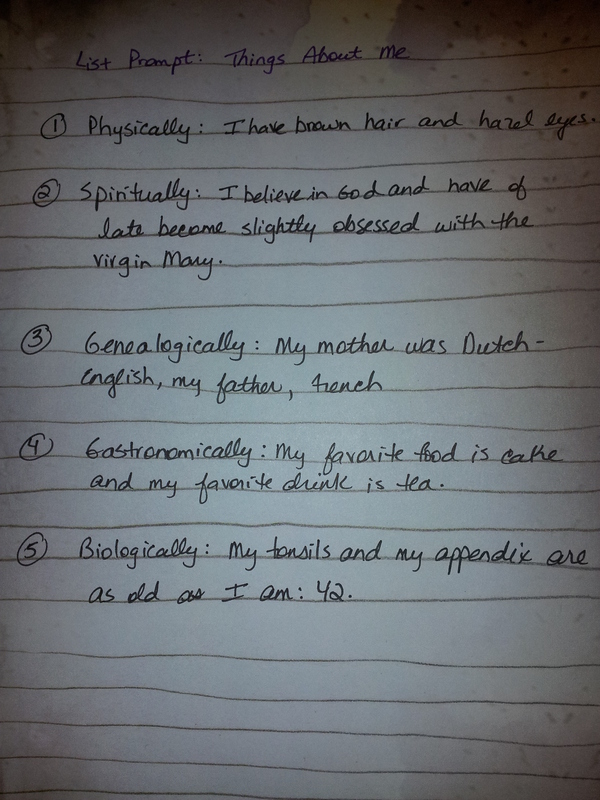 I am, after all, keeping an electronic blog – but said blog does emphasize the many virtues and benefits of handwriting in your journal, every day, as a growth exercise and to connect with our true selves. I like the idea of an application on your phone reminding you to journal, or maybe suggesting journal prompts, but write them down using a pen that makes you want to write, in a journal that speaks to you and also makes you want to write. I do agree with the author it is a shame to lose your past but I urge you to include actual writing in the record keeping of your life. Your life will be enhanced for it, I promise. 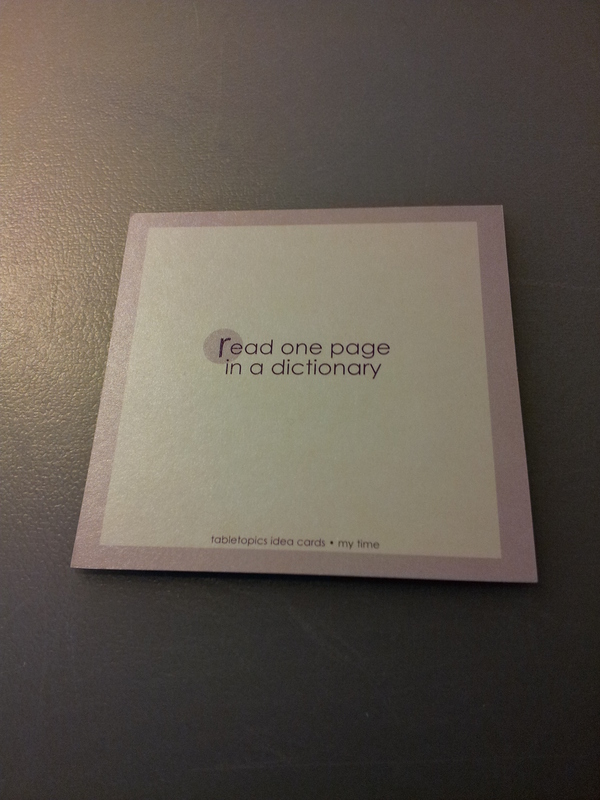 So here’s to the “fuss and barriers of putting your words down”, may they never be eliminated by a smartphone. Check out this exhibition of Su Blackwell’s paper sculptures. Wow – to be so talented! Notice the light in the turret! The act of putting pen to paper encourages pause for thought; this in turn makes us think more deeply about life, which helps us regain our equilibrium. I enjoyed this article, especially the bit about keeping a word journal. Fantastic idea! But really, “paper is soooo last century”? Definitely not! Turpitude is one of my fave words. What are some of yours? And check out the rest of Matador Network – it’s full of really neat things about travel and writing. Another entry for my blogroll! I understood what she was saying about the excitement of the new white page, and the overwhelming need to write something, anything. Everything.